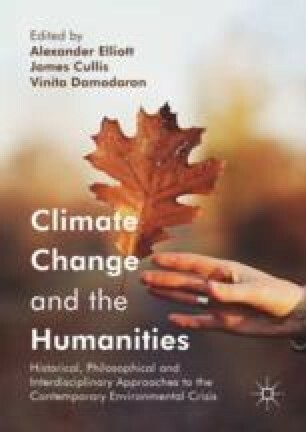 This chapter explores the relationship between climate change and contemporary philosophy. I distinguish between two main routes by which philosophers approach the environment, which I identify respectively as: (1) philosophy applied to the environment; and (2) environmental philosophy. While the first regards topics such as climate change as ways of testing out existing philosophical apparatus, the second involves a distinct kind of philosophical orientation. I then discuss how assumptions about ‘nature’ and ‘culture’ are inevitable and key to a viable philosophical treatment of climate change, and show how some recently dominant trends in philosophy may restrict the scope for an adequate thinking-through of those assumptions. I conclude with some remarks about how due attentiveness to issues raised by climate change, given their scope and scale, demands both a grappling with ontological questions, and a certain kind of modesty in so doing.